*Disclaimer: This review is spoiler-free. All pictures are from the promotional content. In a remote corner of this fantasy world, the Iorph people lead a peaceful life. These immortal humans stop aging in their mid teens, and spend their time weaving beautiful patterns that represent their memories and lives. One day, the Iorph clan is invaded by a neighboring kingdom, leaving the clan decimated except for Leiria, who is taken away by the soldiers, and Maquia, who escapes from the massacre. Maquia, a young Iorph, soon finds Ariel, a newborn baby, by himself in the woods. Taking Ariel as her companion and “son”, Maquia journeys across the land, in search of safety and happiness for her and Ariel. As she watches Ariel age and grow older while she remains a young maiden in appearance, Maquia must face the harsh reality regarding her own identity and her relationship with Ariel. I’ve been writing about anime for a while now, and I’ve watched anime for even longer. From my experiences, I’ve learned that anime as a medium can do so much to impress me. There are anime that stun me with how incredible everything looks. There are others that present me with characters I deeply relate to. Some remind me of certain moments of my own life. Some can even teach me things about life and people that I never realized. And today, I’m immensely satisfied to say that Sayonara no Asa ni Yakusoku no Hana wo Kazarou (that’s a mouthful), or Maquia: When the Promised Flower Blooms, is all of the above and so much more. Maquia is one of those rare anime that not only impresses me from its presentation and storytelling, but also reminds me of why I write about anime, and just how powerful the medium can be. I had high expectations for this movie going in, but never would I have expected it to surpass my expectations with such ease. Simply put, Maquia is a masterpiece. I’ll say this real quick: while this review won’t have any real spoilers, I recommend anyone reading to stop and go watch the film without knowing anything. This movie is one of the best movies I have ever seen, and most anyone should be able to understand the sheer beauty of the film’s themes. Oh, and also. . . take some tissues. You’ll need it. But let’s start with my in-depth analysis of what made watching this movie such an emotional and impactful experience: all of which revolve around the perfect character dynamics. The two lead characters have some of the best character setup and development I have ever seen. The main character, Maquia, is abruptly thrown into the life of a mother, forced to leave behind her shy, teenage life. Her growth as a mother is absolutely stellar, with her story reflecting her struggles and her genuine love for Ariel with touching poignancy. In addition, Maquia is forced to question her own motherly and cultural identity throughout her journey, and these complex plot elements were handled masterfully. I could understand Maquia’s every step and thought, and by the end, it’s hard not to cry with her pain and smile with her happiness. Equally well developed is the character of Ariel, who grows up under Maquia’s eternally youthful gaze. Starting as an infant and aging quickly throughout the runtime of this film, Ariel could easily have been a weak, underdeveloped character. However, Ariel’s growth is just as detailed as Maquia’s, to a point where I could see my own life reflected in Ariel’s story. 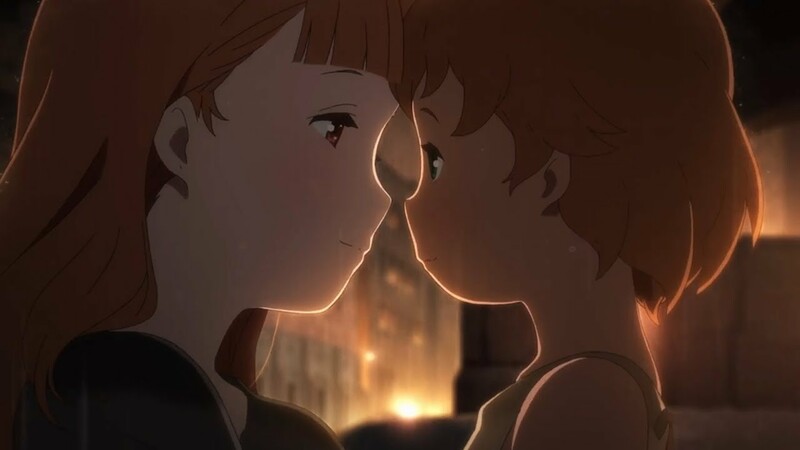 From his charming playfulness as a kid to his conflicting questions on identity as an adolescent, Ariel develops as a well-realized, relatable human being, and by the end of the film, Maquia and Ariel felt like real people without a doubt. However, the film truly shines when these two characters interact with each other. Their dialogues throughout the story are filled with affection, understanding, and other delicate emotions, and they perfectly present the growths in both Maquia and Ariel as mother and son. Subtle changes in Maquia’s facial expressions and vibrant movements from Ariel all work to create and develop an endearing family dynamic as the story progresses. Ariel’s innocent, childish actions as a young boy to his independent, often harsh words to Maquia as a teenager all hit me hard, as I saw myself reflected in their interactions to a degree. Some minor spoilers, but near the very end, there’s a montage sequence capturing all that I just talked about, and watching it was one of the most powerful cinematic experiences in my entire life. I have never seen a story capture a mother-son relationship so perfectly as Maquia did. Other than Maquia, there is a side story about Leiria, an Iorph who meets a very different fate from Maquia after their tribe’s decimation. Leiria’s story caught me fairly off guard, so I won’t be talk too much about it. What I can say is that her story is cleverly scattered throughout the movie, juxtaposed ingeniously to raise conflicting perspectives to Maquia’s questions on motherhood throughout her story. Leiria’s story is clearly not a major focus of the film, but her tale is used effectively to both create tension in the overarching plot and to allow audiences to observe varying viewpoints on the film’s themes. Plenty of other characters are present throughout the story, and most of these side characters are interesting, realistic, and understandable. None of them feel like plot devices, and during their time present, they have meaningful presences that are well appreciated. Among these, one character does deserve special praise: the world of Maquia. Maquia takes place in a fairly typical fantasy universe, but what sets it apart is the clear establishment of different societies without overbearing exposition. Maquia and Ariel journey through many cities and villages rather quickly, but each region feels alive and distinct as backdrops for the story. Visuals take a large part in this aspect, presenting numerous beautiful backgrounds with plenty of jaw dropping wide-shots to subtly detail the societies of this world. Music also plays a role, using a wide variety of instruments to represent each town and its atmosphere with unique charm. On top of each area being memorable, the whole world of Maquia also embraces a major theme of the story: time. Political shifts within cities, rise and fall of kingdoms, and improvements in technology are all present in this alive, aging world, and are mostly hinted at or implied for the keen-eyed viewers. Even fashion choices throughout the story work to establish a strong sense of time passing by Maquia’s eyes. With a world as alive as this one, it’s easy to become quickly immersed and engaged with Maquia’s life. As mentioned, background visuals are absolutely stunning, but character animations are just as detailed and charming. This is most prominently shown in Ariel’s movements as a child, which are filled with constant joy and overwhelming energy, perfectly capturing the youthful innocence of a young boy. Characters’ facial expressions and body language are full of personality and emotion, enhancing the already well-established character-drama of Maquia. More chaotic, messy scenes such as battle sequences are action-packed and thrilling, and the first major action scene of the story (involving a dragon) serves as a perfect example of this. CG is widely incorporated in this film, used mainly for the dragons but also for large, moving crowds. I personally found the CG to be great; while it was noticeable when I deliberately tried to look for it, it was never problematic nor glaringly obvious. The soundtrack is wonderful too. None of the songs felt out of place while viewing, and there is not a single jarring transition into music. Music is used to both give life to the world and to enhance the impact of emotional scenes, and I found the songs to always work effectively. The standout soundtrack, however, is without a doubt the ending theme: Viator by rionos. It’s one of the most beautiful ending tracks I’ve ever heard, and the lyrics are genuinely moving after finishing the movie. I also loved the visuals behind the ending itself, which held quite a powerful symbolic element despite its simplicity. In fact, the entire movie is filled with symbolisms, and I’ll most certainly be writing an in-depth analysis when I get the film on DVD (and I can’t wait)! As for negatives, there really are no obvious ones. I’ll still come up with a few very minor cons though. I suppose the story can be cliche at times, with one scene at the very end involving Leiria coming to mind. Cliches aren’t inherently bad, but the scene left me slightly annoyed at that instance. However, looking back, I think it was a fitting direction for the story. Cliche characters do exist, but most of them really aren’t that relevant, nor are they a focus of the story. As said before, the CG is easy to point out, but it certainly doesn’t detract from the overall experience. Lastly, I wish we got a bit more time with some of the time periods. I wouldn’t have minded more scenes with Maquia and young Ariel just talking or playing, but I know any more in this movie would have made it overly drawn out. An additional OVA about one story from Maquia’s life would be interesting, but now I’m just talking hypotheticals. Maquia is one of the best films I have seen to date. Amazing backgrounds, beautiful soundtracks, a vibrant world, and interesting side characters all enhanced the experience of watching the heartfelt, sincere development of a well-realized mother-son relationship. The love shown between Maquia and Ariel is unlike anything I’ve seen in media before, and the movie asked great questions that are still lingering in my head. It’s anime like Maquia that remind me of why I love this medium so much, and encourage me to continue writing about anime. I’m honored to have seen this film in theaters, and I hope more anime strive to perfectly portray the more complex human emotions and connections as Maquia did. Maquia is an extraordinarily beautiful film, so the similar shows were a bit hard to nail down. Anyways, the first recommendation is AnoHana, another excellent original anime written by the fantastic Mari Okada. This anime is more about friendship from what I’ve heard, and it’s apparently also incredibly emotional and beautiful. KokoSake is also another great original anime written by Mari Okada. The next two shows are both about parenthood; the first, Sweetness & Lightning, is about a father raising a daughter all on her own. While quite the reverse of Maquia’s basic plot, the loving relationship between parent and child is still present, and I’ve heard the show is fun, light, and charming due to its lovely cast. It also has a bit of cooking involved, so that’s a nice treat for some. Wolf Children is also about parenthood, but specifically, this film tells the story of mother raising two very unique children. Directed by the talented Mamoru Hosoda, prominent for his excellent grasp on familial themes, Wolf Children is another anime on my. . . plan to watch list. I really need to start watching more. Oh, and what’s that? I’m tearing up from the trailer? Oh, not this again. . .
And lastly, Summer Wars is another film directed by Mamoru Hosoda. It’s quite the underrated film in my opinion (yes, I have actually seen this one), especially because it has such a brilliant story about family and community. It’s not about parenthood specifically, but Summer Wars is still an exciting, heartwarming anime that boasts genuine understanding of what “family” means and what it means to be a part of one. Before I finish my review, I’ll tell a small story about watching Maquia. Currently I’m with my family during vacation, so I had the opportunity to watch the film with my parents. Since I knew Maquia was about parenthood, I went to the theater with my lovely mother. After the film, my face was soaked with tears, and I simply had to hug her. The movie let me realize how hard she worked to raise me into a half-decent human, and it was genuinely moving to watch Ariel and Maquia suffer through hardships as a family. The movie also inspired me quite a bit, as I had been asking myself why I write at all during that time. The answer is simple: writing can explore real human experiences through unreal fictional stories, and there’s nothing quite as magical as that. Thank you for reading, and I hope you have a theater nearby that’s showing this masterpiece. I know my friend has zero showings in her state (Pennsylvania), and that’s truly unfortunate. Other than that, I hope you enjoyed this longer, more emotional review from me, and I’ll work hard to keep writing interesting new articles. Thanks again, and have a nice day. I was really excited about Maquia when I first saw the trailers for it, but then I got put off after it recieved rather mixed reviews. But after reading this I will definitely have to check it out for myself. I just hope it lives up to my high hopes!